Prior to joining Stevens Strategy, Tom Emmet assisted in the update of the university policy manual. 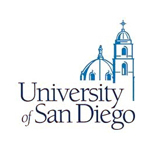 The University of San Diego General Counsel’s Office took the lead role in facilitating the policy update process while [Tom’s team] provided input to the general counsel and helped the university develop and implement the process that it followed. [Tom’s team] did a very good job gathering and restructuring the organization of the university’s policy manual. We are using the structural format [they] recommended. [Tom] also was very helpful in providing input in the development of the committee process that we have used to review and revise existing policies… Elise and Tom are excellent to work with. They are very responsive and meet or beat deadlines.